...And I love meatballs so you better get ready!!! 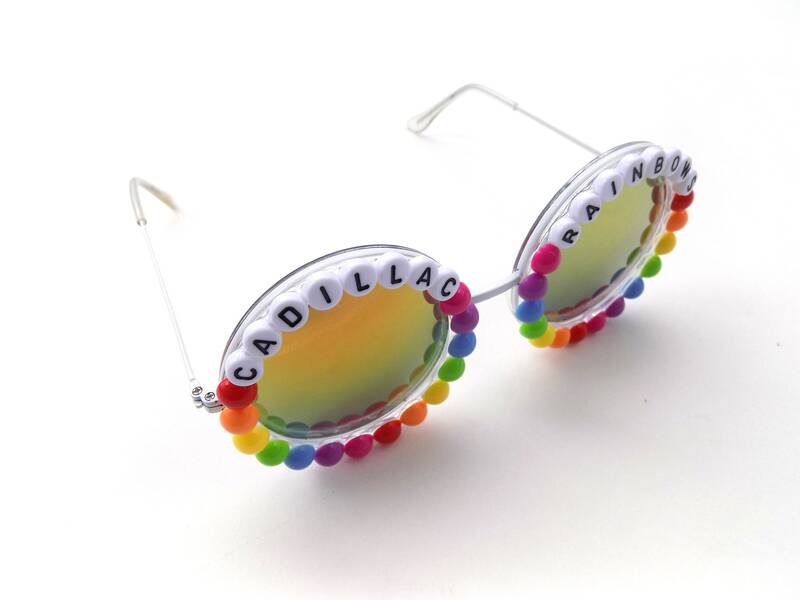 These super funky embellished sunglasses feature the words "Cadillac Rainbows" from Phish's "Hally's Comet" along with little rainbow gum drops encircling the frames. 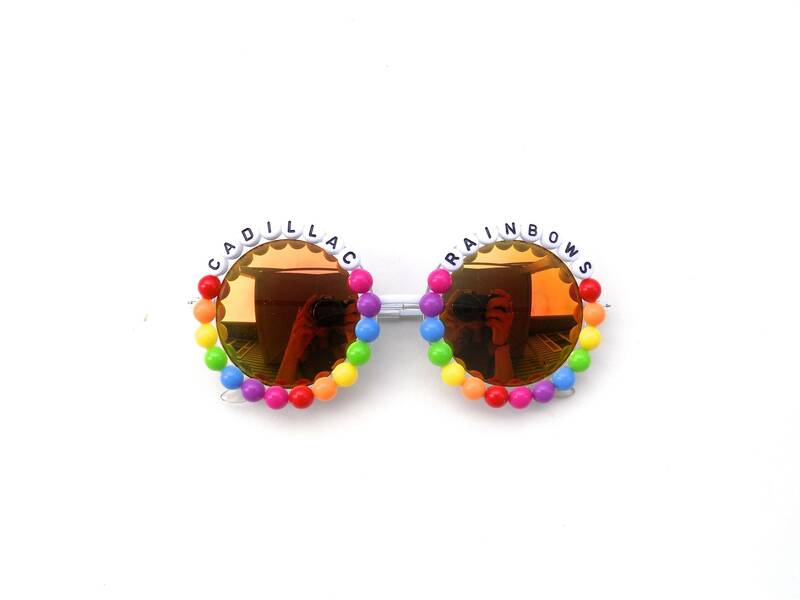 Frames are metal with clear plastic insets and mirrored lenses. 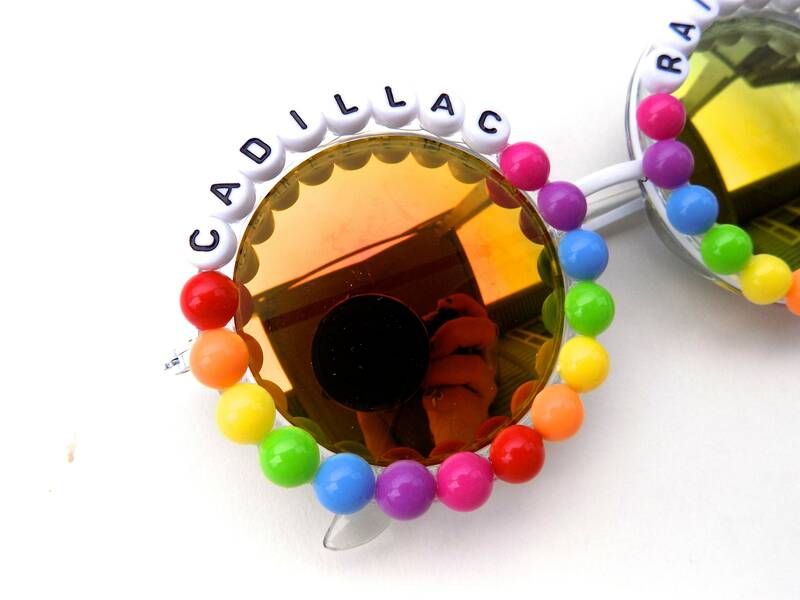 Letters and jewels are fastened securely to the sunglasses using industrial strength glue.